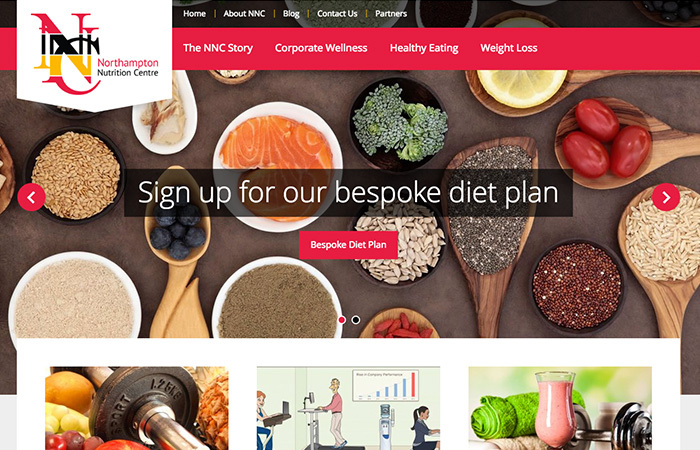 With a client base that includes individuals, businesses and sports teams, the Northampton Nutrition Centre aims to improve the health, well-being and sporting performance of their clients. They achieve this through long-term, sustainable changes to their attitudes towards food and nutrition. They wanted a freelance web developer to come up with a professional and eye-catching web design, something that brings together a simple yet effective design with colourful photography to show off the services they offer. Tim Keay was recommended to me back in 2014 when I started my business. At that point, I had no idea what my website should look like or what the content was going to be. Tim was incredibly patient and helpful putting ideas forward and constantly having to rework the pages as my ideas chopped and changed. Despite my best efforts and constant changes, Tim got the site live on time and the feedback I got from customers was extremely positive. Since these early days, Tim has continued to work with me as my business and the website has constantly evolved. I am a difficult customer in that I have an idea in my head but battle to articulate it. Somehow Tim has managed to grasp what it is I am after and deliver it every time. I would have no hesitation recommending Tim to anyone looking to have a website hosted and designed, whether that’s a completely new website or a redesign. I find Tim super-approachable and he certainly goes way above and beyond expectation.